Hossen Sohel: The High Court yesterday issued a rule asking the authorities concerned to explain in four weeks why they should not be directed to give appropriate compensation to the family of Rafida Khan Raifa, the two-year-old girl who died at Max Hospital in Chittagong due to doctors’ negligence during her treatment on June 2. In the rule, the court also asked the respondents to show causes why legal actions should not be taken against the doctors whose negligence led to the death of Raifa, daughter of journalist Md Rubel Khan, reports The Daily Star. The court also asked the respondents to explain why they should not be ordered to set a guideline for ascertaining compensation for injuries and deaths caused by medical negligence and wrong treatment. The health secretary, additional health secretary (hospital), president of Bangladesh Medical and Dental Council, Max Hospital’s doctor Bidhan Roy Chowdhury, Debashish Sengupta and Shubhra Dev have been made respondents to the rule. The HC bench of Justice Syed Muhammad Dastagir Husain and Justice Md Iqbal Kabir came up with the rule following a writ petition filed by Raifa’s father Md Rubel Khan seeking necessary directives for compensation. 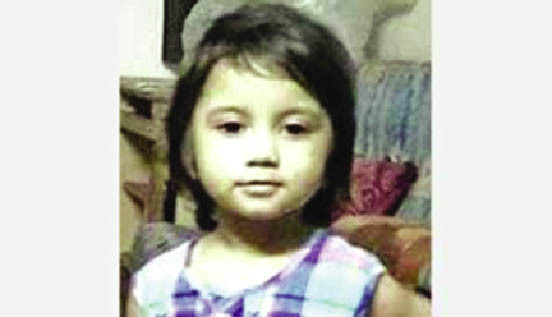 Raifa, 3, died on June 29 at Max Hospital after she was admitted there with pain in her throat. A government investigation led by the Chittagong civil surgeon found negligence of doctors in treating her. The committee also recommended punitive actions against three Max hospital doctors — Liakot Ali, Debasis Sengupta and Shuvro Deb. A week after Raifa’s death, Rab raided the hospital and fined it for various irregularities. In response, owners of private clinics, hospitals and diagnostic centres enforced a 20-hour strike in Chittagong.